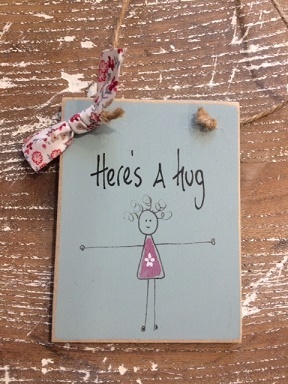 Wooden 'Here's a Hug' hanging sign, hand made for Hilly Horton Home. 10cm x 75cm, with rustic string hanger with & contrasting bow. Available with natural or duck egg background. Makes a perfect add on gift for any occasion. 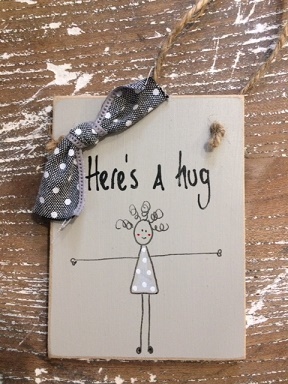 10cm x 7.5cm, with rustic string hanger with & contrasting bow.